Experience the joy of a live orchestra with your children at The San Francisco Symphony’s family-friendly performances at Davies Symphony Hall in downtown San Francisco. 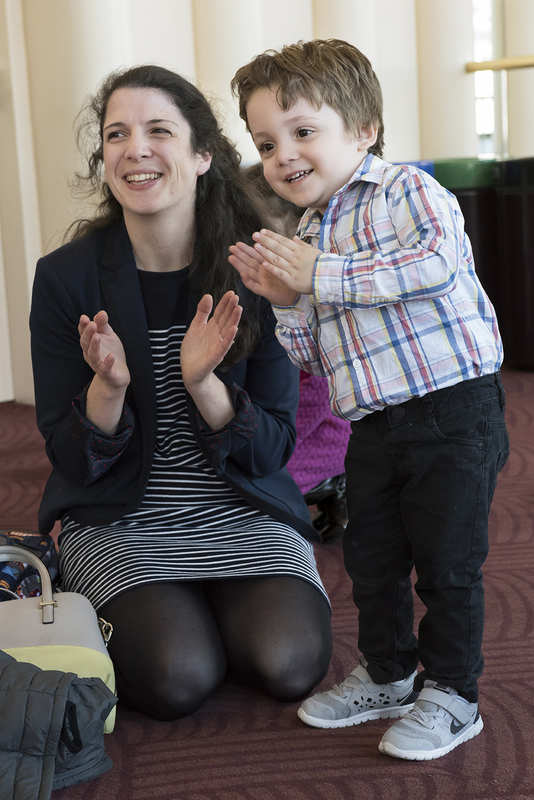 Music for Families series on Saturday March 11 & June 3 is the perfect way to introduce your child to the music of the symphony and a hand's on experience with a new instrument under the guidance of one of the talented and experienced musicians. Children can test drive the violin, trombone or cello, to name a few. Plan to continue this experience by catching the incredible performance of the San Francisco Youth Orchestra on Sunday, March 5. There is no better way to excel your child's musical education than to experience the passion from their talented peers across the Bay Area. Music for Families connects young audience members to world-renowned musicians in an engaging hands-on and ears-on environment that is both fun and educational. With only two more chances left this season, now is your chance to attend these awesome programs and give your budding musicians the opportunity to discover an array of activities before, during, and after the performance including coloring stations, instrument petting zoos, photo stations, piano mats, and more. Appropriate for ages 5 and up. Learn what makes the heart of the Symphony beat, enjoy music inspired by Lemony Snicket, works featured in Harry Potter, and come on a musical adventure where you and your family solve a whimsical, musical mystery. With audience participation and interaction with the musicians, learn about the symphony orchestra in new and fun ways. Sound and movement come together on stage to engage the senses and get you and your kids up on your feet. From storybook classics like Swan Lake and Cinderella to some of our favorite orchestral dance pieces, you’ll learn about the basics of rhythm, and meter, while grooving along with live dancers and the San Francisco Symphony. Tickets: $27–$64 (Adults); Tickets for children age 17 and under are half-price. The San Francisco Symphony Youth Orchestra (SFSYO) presents its second concert of the season on Sunday, March 5, performing Dvořák’s Symphony No. 8 in G Minor, Mozart’s Symphony No. 41 in C Major, Jupiter, and Barber’s Second Essay for Orchestra. 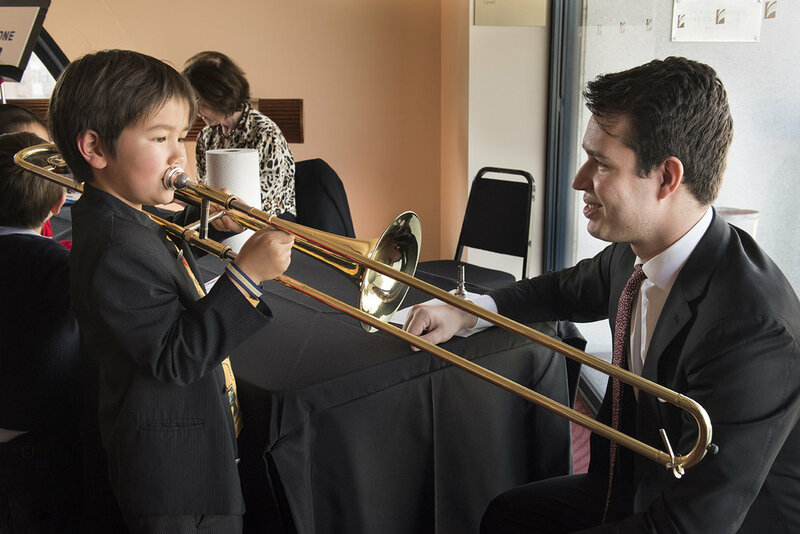 The San Francisco Symphony Youth Orchestra is a pre-professional orchestral training program serving talented young instrumentalists ages 12-21 from across the greater Bay Area. The joy of music comes simply by listening. 🎹 Expect kids to be kids. You will hear kids cry, comment, giggle, dance, and scream. Kids will run up and down the isles and plan to see the occasional shoe lights twinkle too. Oh kids just wanna have fun so don't worry if it's your kid that is making the noise. 🎵 The San Francisco Symphony is located near the the trendy Hayes Valley neighborhood with it’s lovely boutique and specialty shops, cafes, bars, restaurants and more. There’s a small park called Patricia’s Green on Octavia Street between Hayes and Fell, with a playground and inventive sculptures, occasional food trucks, and famous Smitten Ice Cream, serving up made-to-order scoops with its liquid nitrogen technology. 🚗 Park at the Performing Arts Garage located on Grove between Franklin & Gough or the Civic Center Garage located on McAllister between Polk & Larkin. Or take Public Transportation BART: Civic Center Station; MUNI Metro: Van Ness Station; Muni Lines (Bus): 6, 16X, 21, 47, 49, 71, 71L, 90. SFJAZZ membership benefits include exclusive opportunity to pre-purchase parking. 🎶 The San Francisco Symphony is conveniently located Grove Street, between Van Ness and Franklin in San Francisco. Tickets are available at sfsymphony.org, (415) 864-6000, and at the Davies Symphony Hall Box Office, located on Grove Street between Franklin and Van Ness. To learn more visit them on their website, Facebook, Twitter, YouTube, Tumblr, Instagram and Soundcloud.